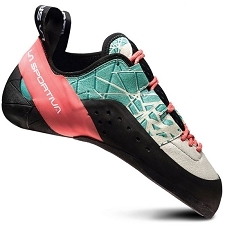 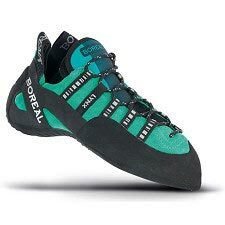 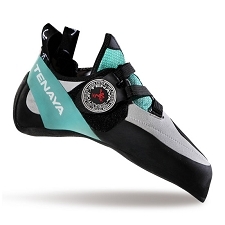 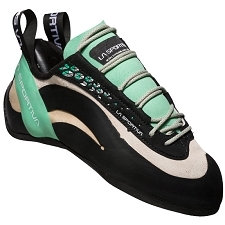 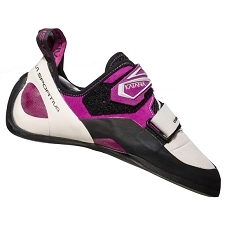 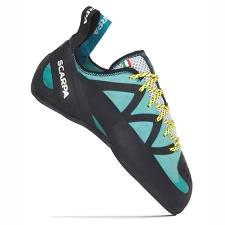 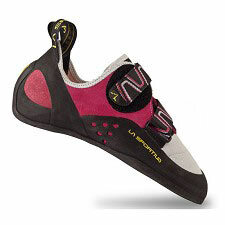 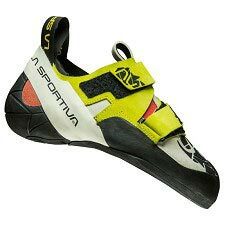 The Scarpa Vapor V for women is a shoe that focuses on precise footwork over a variety of footholds, both overhung and vertical. 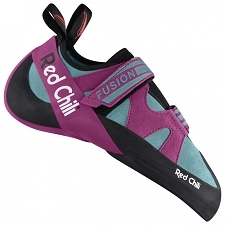 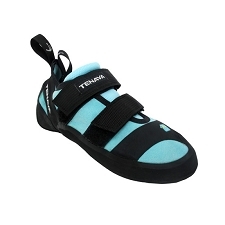 Bi−Tension randing reverses standard slingshot rands in order to connect your toe to your heel, instead of uncomfortably bunching your toes toward the front of the shoe. 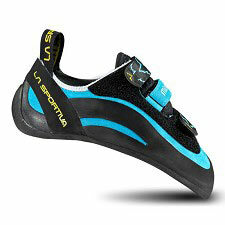 The result is a more powerful performance, assisting any movement from technical static moves to huge dynamic jumps. 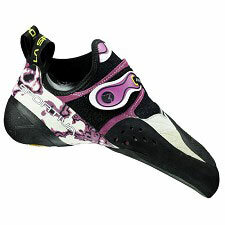 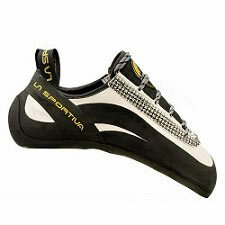 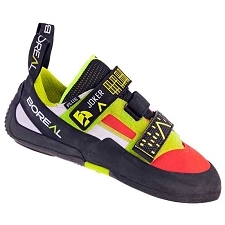 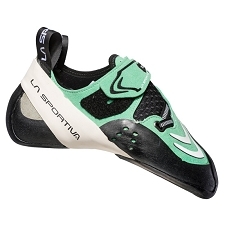 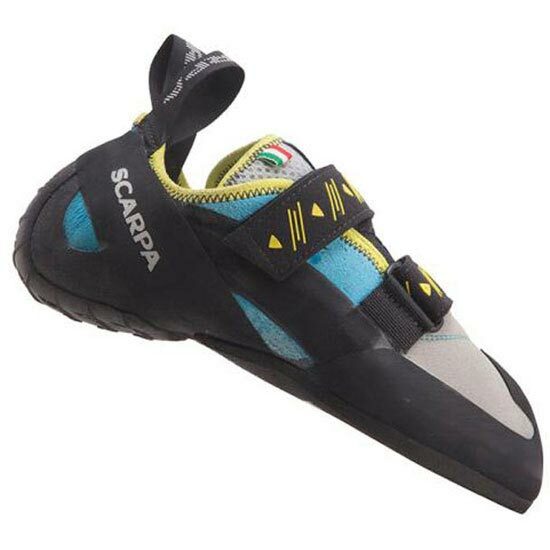 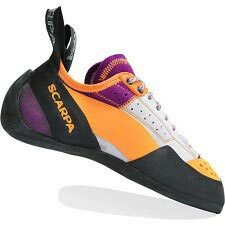 Scarpa made the Vapor V&apos;s upper out of stretchy, soft, and strong suede, so expect a bit of stretch after some use. 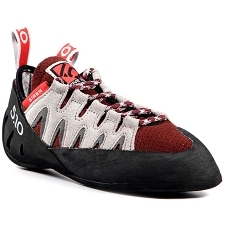 The air mesh gusseted tongue enhances the upper&apos;s overall comfort, and it prevents debris from falling in. 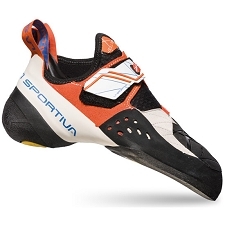 The Flexan midsole is on the softer side, but the Vibram XS Edge sole keeps the Vapor V in its slightly downturned, asymmetric shape. 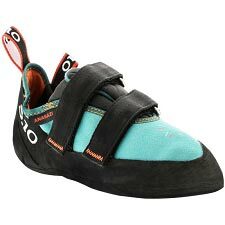 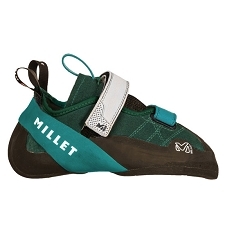 The slight downturn feels excellent on technical vertical routes as well as overhung boulder problems. 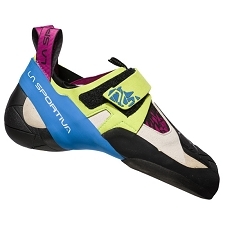 Customer Opinions "Vapor V W"